I remember this particular season, precisely one year ago. I was lost in a brand new city and my friends and I wanted to embark on every adventure we could possibly encounter. As “Erasmus” students, international students in other words, who insisted on photographing every statue and dinner entree as part of their obligatory “study abroad photo album” that would later be posted on Facebook, our curiosities were destined to kill our cats as we set out to explore as much of Madrid as we physically and mentally could. I could say I had some of the best times of my life during my time abroad, which actually felt like a 5 month long vacation. My eyes were open to extreme spectrums of culture as I learned to live and study alongside Spaniards. Discovering an all-you-can-eat sushi buffet that served sushi on conveyer belts (pure genius– I’d love to shake his/her hand), finding cute dance partners at El Kapital, the incredible 7 story discoteca that offers different types of music/DJs on every floor, running into familiar faces at Retiro Park, discussing ancient Greek comedy over delicious tapas and bottomless pitchers of sangria with my Spanish classmates—- are all fond memories that I will hold dear to my heart for the rest of my life. That incredible semester abroad was a trade-off of what could’ve been an equally fabulous semester here at Midd. But honestly, I had forgotten how mind-blowingly beautiful this campus is during foliage season! Being here during this time of the year is spectacular as the leaves turn all shades of red, orange, and yellow, and I can’t help but to fall in love with this place for the millionth time whenever I get a glimpse of the Green Mountains on the way to Bi-Hall or as I watch the sunset from the convenience of my seat at Ross dining hall. I realize I will reach my expiration date here at Middlebury within a few months. (I mean, our 200 Days party is coming up!) For this reason, I intend to fully take advantage of everything that this fall season has to offer whether it be visiting the nearest alpaca farm, picking raspberries, or playing in the leaves like the 7-year-old child I am. At heart. 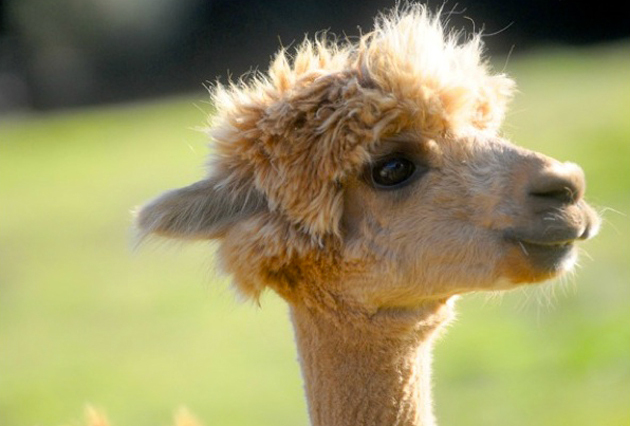 **WARNING: You may start comparing your friends’ faces to alpacas if you stare at these pictures too long. This entry was posted in Uncategorized and tagged alpacas, study abroad, Vermont on October 25, 2011 by Julie Seo.